Our client had the classic problem that their period home had a lot of wasted space from their unused side return. 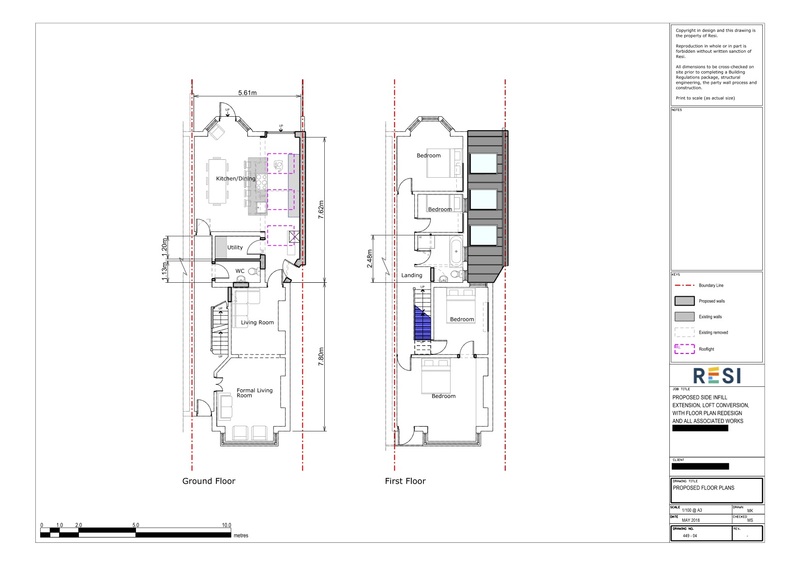 Our architects were able to rectify this, and create an extension that greatly improved the layout of the home. Combined with the loft conversion, this project added significant value to the property. 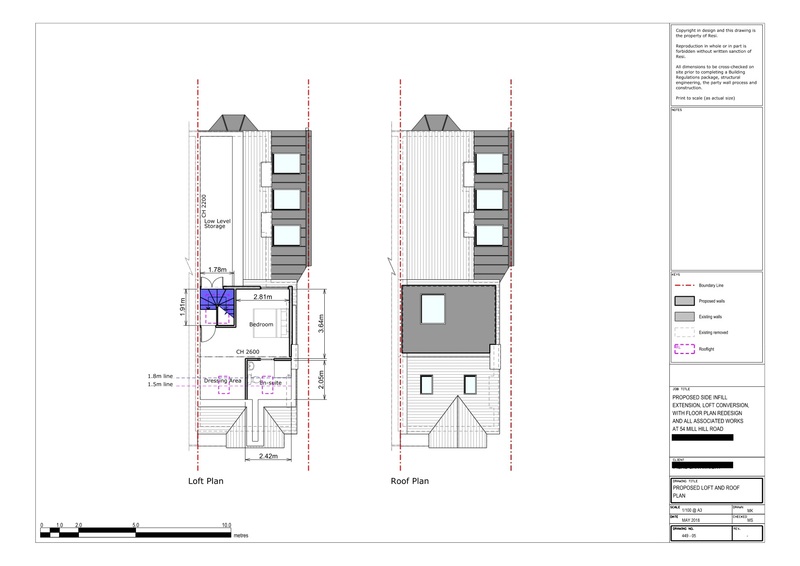 This project was carried out under an application that concerned householder planning and demolition in a conservation area, which was approved on 6th August 2018. 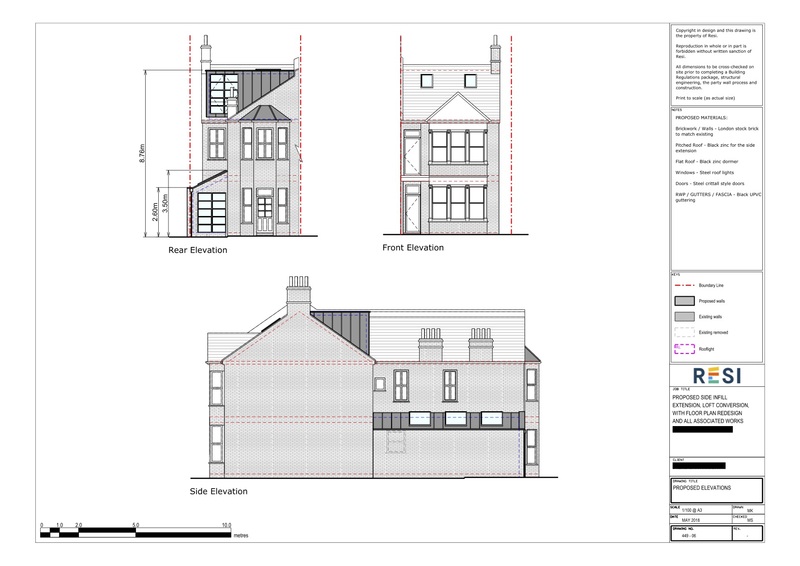 Our client was looking to fill in their side return with a side infill extension, in order to be left with a large ground floor space to accommodate a kitchen and dining area. They also wanted to convert their loft into a useable living space, and were open to ideas on the layout but had some ideas in mind. They wanted their home to be filled with lots of natural light, perhaps by using skylights. I removed the wall that held the side return which allowed for a large open plan space, incorporating the existing bedroom and new extension. This was converted into an open plan kitchen and dining area, which was broken up by a lengthy central island. To the extension I added three steel skylights to the roof, and steel crittall style doors on the rear facing wall. On the first floor, minor alterations were made which included the combination of the WC and bathroom to form one large bathroom. To the loft, we built a main dormer extension which would allow space for a bedroom, ensuite, dressing room, and plenty of storage. Two skylights were added, one to the ensuite, and one to the dressing area.